The monitor will indicate that a connection is being attempted, then briefly flash black-and-white static before returning to black, and make one or more short popping or chirping sounds through the built-in speakers. This may repeat multiple times, however the picture will not come back. I can tell that Windows is still running because I can leave audio playing on my external speakers and, while the audio stops while the monitor tries to reconnect, I can get the audio back by unplugging the DisplayPort cable from my computer. 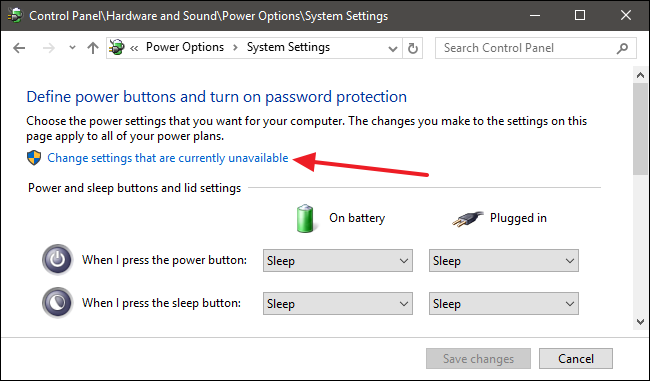 The only workaround I have found so far is to restart my computer, and change Windows power settings to prevent my monitor from turning off when I leave for a short time. I ran Windows update, and then tried updating my audio drivers - neither resolved the issue. I wanted to revert to an older version of Radeon software, but I couldn't find anything. The few links I found online either led to now-dead pages, or pages which did not appear to actually have download links. If there is a way to go back to an older version, I would like to try it, and maybe even figure out exactly which version introduces the behavior for me. I've since updated to 18.5.2, but the behavior persists. Please let me know if you have any idea what is going on, or if you need additional details from me. Thank you. It appears that if my computer sleeps, and then wakes from sleep while the monitor is on, it can recover after briefly showing static and then a black screen. In previous cases, my computer had woken up while the monitor was off. I've changed my settings so that shouldn't happen as easily. The main problem is still there, but this is another way for me to work around it in some cases. You may want to see if your monitor has a dedicated device driver. Often they are fixed with drivers when the default plug and play driver does not work correctly. Sleep issues are commonly fixed this way. You might want to ask this same question to you monitor maker if you don't see a driver available. I was able to find the page for downloading old driver versions. I had to navigate to the download page for the latest driver version for my configuration, and then a "Download Previous Drivers and Software" link appeared in the "Helpful Links" section. I'm not sure why the other links I had found were broken. I tried a number of different older versions and found that the problem first appears in Crimson ReLive Edition 17.10.2 Optional. I installed Crimson ReLive Edition 17.10.1 Optional for now, and that seems to make the problem behavior go away, however the installation process did tell me that there was a problem and it was only able to do a partial installation. I don't know if this is a major problem or not. It didn't happen with any of the other versions I tried, so if I have further problems I may roll back even further. Ideally I would want to use current drivers, but it seems that if I want to be able to play certain games, or be able to turn off my monitor without a full reboot, these older drivers are my best bet unless a later version fixes the problem. 17.10.1 or .2 depending on what card you have are though by many to be the last "trouble free" drivers. It was before they started some very big changes in the driver. Over the last year those changes have been getting fixed but it is obvious a great many things are broken still. Those older drivers should work for most anything you need them too unless it is a new game that really requires a newer driver. Your mileage varies from card to card with the latest drivers. My RX 580 runs great with the current driver, my R9 380x wont even run and my HD 7950 is unstable and the clock rate is not correct. I am surprised though that the RX 480 is not working as architecturally it is the same as mine. You might try if you have not already running DDU from safe mode. This often removes registry entries that otherwise just don't get corrected when installing drivers. It really works well in most cases if the issue is installation related and not just the driver itself. I think based on what you have going on it may not really be the driver causing your issue, but it is very hard to say as all these cards even of the same gpu vary a good bit form maker to maker. Good luck and keep reporting your progress. I ran DDU and installed 18.5.1, but I had the same problem as before. I ran DDU again and installed 17.10.1 and this time it didn't give me the "partial installation" warning, so that seems to be an improvement. Thanks for the info about versions 17.10.1 and .2 - that's good to know. Note: there's one symptom I didn't mention in my original post. I don't know if it happens every time, and it only happens after waiting for a while, but the screen eventually turns blue instead of black. I'm not sure if that's useful information, but I figure I should mention it. yah not sure what the color difference means if anything. When my R9 locks it goes all green. Just keep using that driver that works and trying new ones as they come. Send a support ticket upon every driver that does not fix things. Keep pestering them. It is all we can do. Asus P8Z77V-Pro. i7-3770k. 32GB DDR3. Fury X . Philips BDM4350UC 43" 4k. Windows 7 64bit. the driver i use now is 17.7.2 , and i try few newer version . all have the same problem, if i turn off the monitor, after i turn back on, the monitor power up and then "STAY BLACK"(like in power save mode.) , at some newer version driver , it can be fix by re-plug the Display port cable to other DP port at the card, but didn't help with some other newer version driver. so i just stay with the 17.7.2 driver i know "work" without this problem. and so tired to test out any other new driver that seem more problem than fixing problem! i just don't understand how something is fine and then when they update the driver , they manage to fked it up ... and can't fix it like almost a YEAR? REALLY? I think I would talk to Philips support if you have not and get their opinion on this too. Not impossible that your issue is something they could fix with firmware or driver update. Could be a Windows change or even an AMD change was made they need to compensate for. I doubt this, but it can't hurt to get another opinion. Same problem as mine, I'm using RX 470 8GB , in the middle part of installation I know that its normal when your screen display doing a black screen on and off , but when in the middle part of installation it didn't went back to the normal display desktop. So I tried downgrading the 18.5.1 to 18.2.1 and now its working , I'm still afraid of updating the software because of this issue. Anybody here that fix the issue ? Btw before downgrading I tried disabling the built-in and left my RX470 enabled and it did work too but having a doubt it might cause a big issue, so I just downgrade the software update from 18.5.1 to 18.2.1. You might try disabling fast startup...it has fixed similar issues. 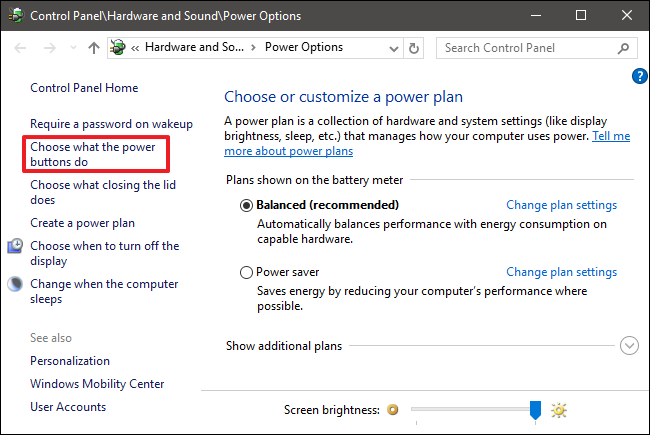 Scroll to the bottom of the window and you should see “Turn on fast startup (recommended),” along with other shutdown settings. Just use the check box to enable or disable Fast Startup. Save your changes and shut down (reboot) your system to test it out. Thanks for the recommendation of turning off fast startup. This was one of the things that I tried back in June, and it didn't have any effect on my particular problem, but might be worth a try for others. I used to have a similar problem. I used devmanview to restart graphics driver back then.